Application: Joining Refractory bricks, Furnace lining, bedding, etc. Owing to the efforts of our skilled professionals, we have been constantly engaged in offering a qualitative assortment of Insulating Refractory Mortar. 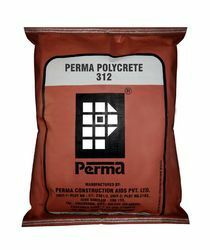 - High bonding strength with existing concrete and other building materials. - High compressive strength 1000Kg/CM2. - Quick setting. Sets hard in 6 to 8 hours. - No water curing is required. Owing to the experience and expertise of our skilled team, we are able to offer Insulation Mortars. These products are widely used for offering insulation to various structures against different detrimental effects. Offered mortars are used in making various kinds of insulation bricks and are also used as a layer between two types of bricks. 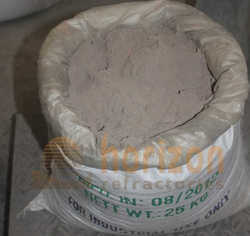 - 50 Kg Accoset - 50 refractory Mortar. We are manufacturer of different quality of mortars-like Fireclay, High Alumina, Insulation, Silica, Basic, Acid Resistence, etc that is being used for laying Refractory Bricks of different qualities used in Reheating Furnace, ladle, tundish, Power Plants, Coke Oven Batteries, Acid Plants, Aluminium Industries, etc. 70 K mortar is widely used as a jointing material for refractory bricks. This mortar made by Amar Ceramic has become the first choice of clients for their low moisture applications. This product is supplied by the company without any additives. The packaging of this product is such that it does not become contaminated through exposure to atmosphere.